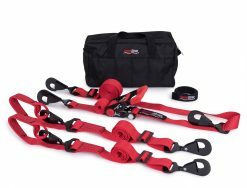 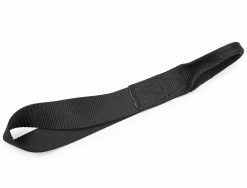 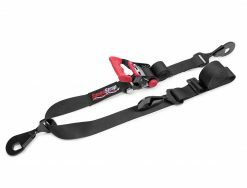 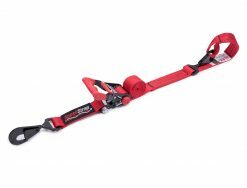 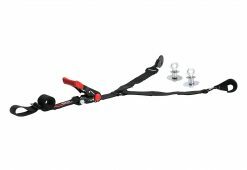 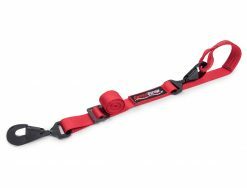 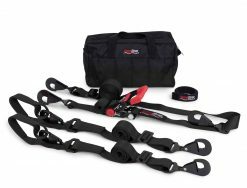 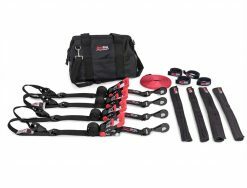 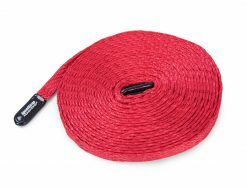 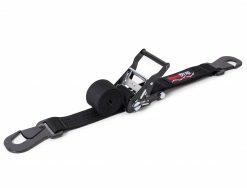 Used in combination with a ratchet tie down, simply attach to the front or rear of your vehicle. 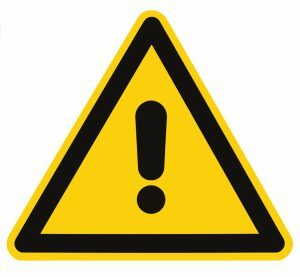 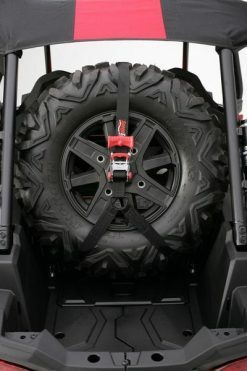 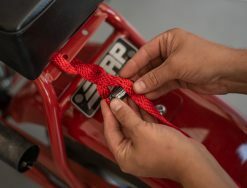 Adjust the tie back and set it to ensure the proper vehicle positioning every time. Available in black or red.